Greek railway service operator Trainose, run by Italy’s state railway group Ferrovie dello Stato, announced the launch of the “Olympian Trail” train route, a product aimed to offer cruise passengers in Greece “the trail of a lifetime experience”. 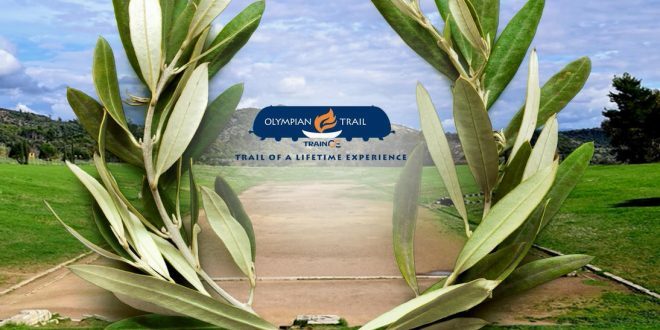 “The ‘Olympian Trail’ aims to attract cruise tourists that disembark in Katakolo and wish to visit the birthplace of the Olympic Games and to get to know the history of the region,” Trainose’s marketing and advertising director, Mary Nassopoulou, said during a press conference held at the Panathenaic Stadium in Athens. 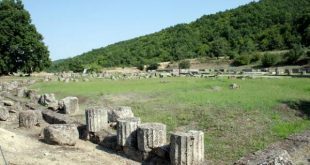 As of next spring, the 45-minute “Olympian Trail” train route will be available (through cruise travel packages) to take cruise passengers from the scenic Katakolo Port to Olympia and give them the chance to visit the archaeological site, where the first ever Olympic Games took place in 776 BC to honor the Olympian Zeus. 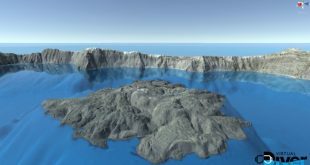 According to Trainose, the area of Katakolo has significant cruise passenger traffic and the “Olympian Trail” route will aim to help boost the economic and tourism development of the destination. Katakolo is Greece’s fifth most popular cruise destination. Speaking during the press conference, Trainose’s CEO, Filippos Tsalidis, underlined that the Olympain Trail is a symbolic route as it links culture to tourism and also a significant route because it responds to a real need: the increased tourism demand by both international visitors from cruise ships and Greek travelers that prefer the train for their transports. “Our goal in Trainose is to provide passengers with unique travel experiences and for the train to become the vehicle for developing synergies and coordinating policies to promote our cultural heritage and the country’s tourism development,” Tsalidis said. Τhe Olympian Trail is supported by the Greek Tourism Ministry and the Greek National Tourism Organization. “It is very important that we promote this from now and secure a new thematic product to all those who want to visit our country,” Greek Tourism Minister Elena Kountoura said, adding that every new product created adds value to Greece’s tourism product. Minister Kountoura underlined that it is important to support the excursions related to the development of Greece’s cruise product, as they add to the experience of passengers. Regarding cruise tourism, the minister said that Greece still has a long way to go as the very important days for the cruise sector have not yet arrived in Greece. “We are taking our first steps and have great prospects,” she said. The Katakolo – Ancient Olympia route is already in operation and serves the area’s residents and individual tourists. 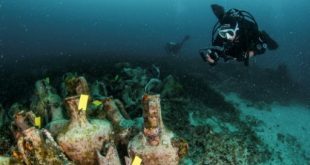 The specially designed “Olympian Trail” route will launch from Spring 2018 exclusively through packages by Greek travel agencies and professionals and cater to groups of tourists from cruise ships. so I, who live in Greece will not be allowed on this train?? It says it’s only available through cruise packages? This is so unfair. Will the local products the tourists are given be also available for purchase? Will there be any interaction with the local economy at all? This should also be an important as too often tourists on package tours are trotted (literally) from place to place and aren’t given much time to interact locally. The guides are just interested in taking tourists to those places where they or the company will get commission.